The following are detailed specifications about the Uttermost Paredes Oval Mosaic Mirror. 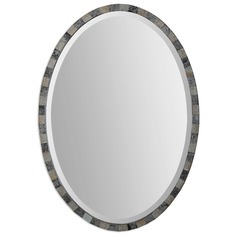 Modern mirrorOuter Frame Is Constructed Of Pieced, Light And Dark Antiqued Mirrors. Center Mirror Is Beveled. May Be Hung Horizontal Or Vertical. 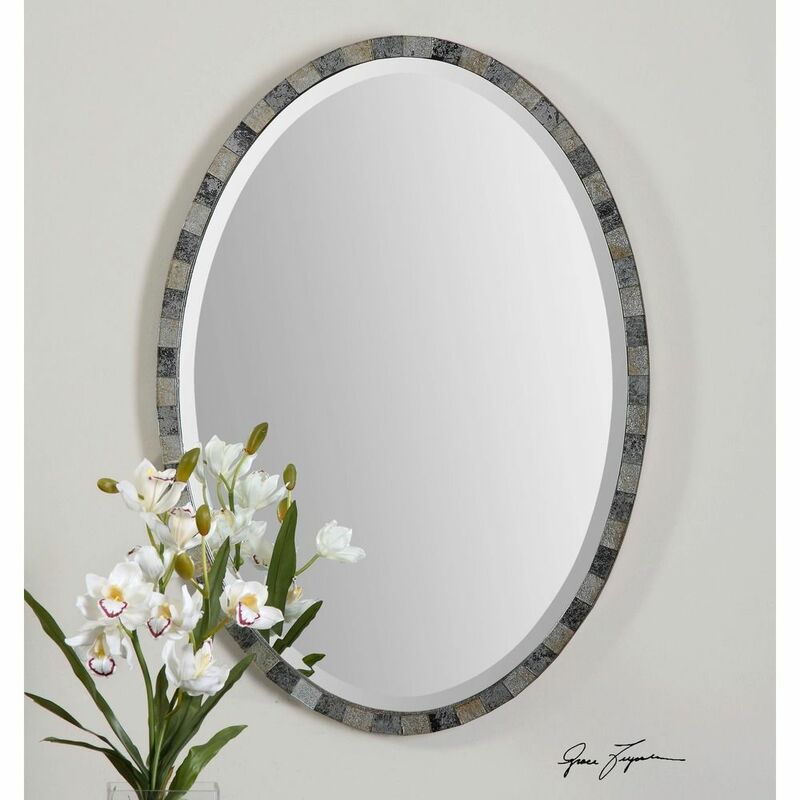 This Uttermost Paredes Oval Mosaic Mirror is part of the Paredes Collection from Uttermost Lighting. The following items are also part of the Paredes Collection.